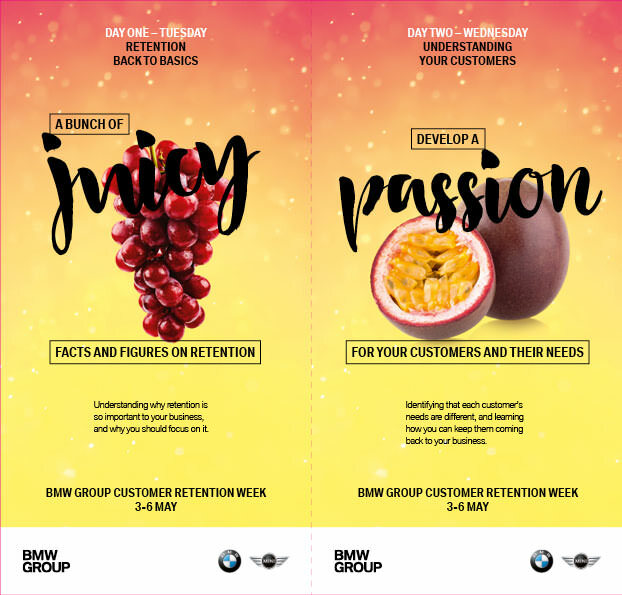 Customer loyalty at BMW Group retailers needed to improve. It made commercial sense as well: every 1% increase in customer service is equivalent to a 5% cost saving. 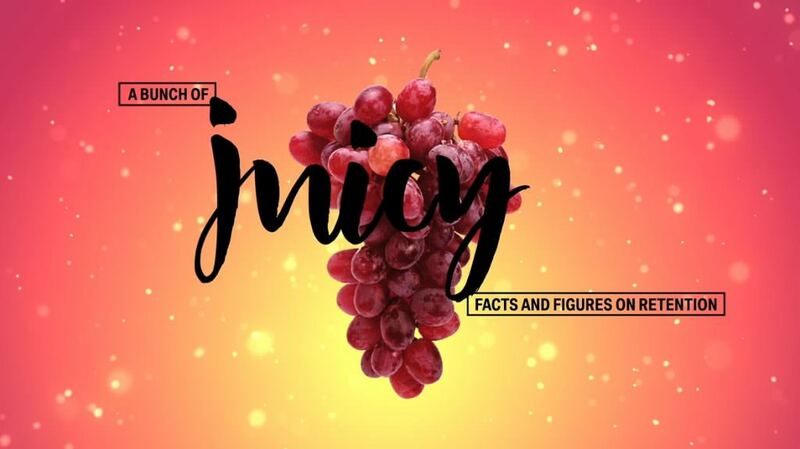 We created a week’s engagement campaign based around different fruit. 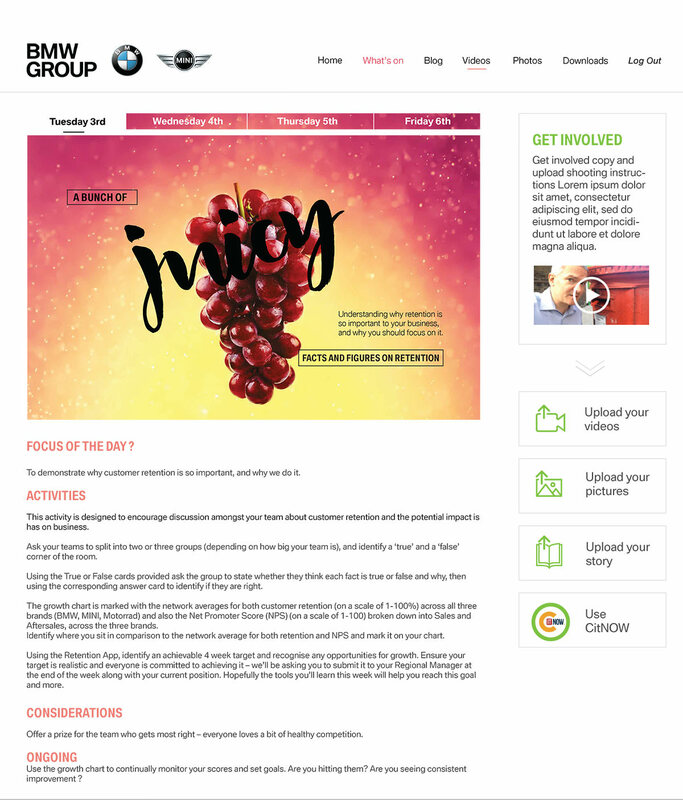 Each retailer was sent a ‘goody bag’ with daily fun activities such as building a bridge out of straws, a true or false game as well as business oriented tasks. 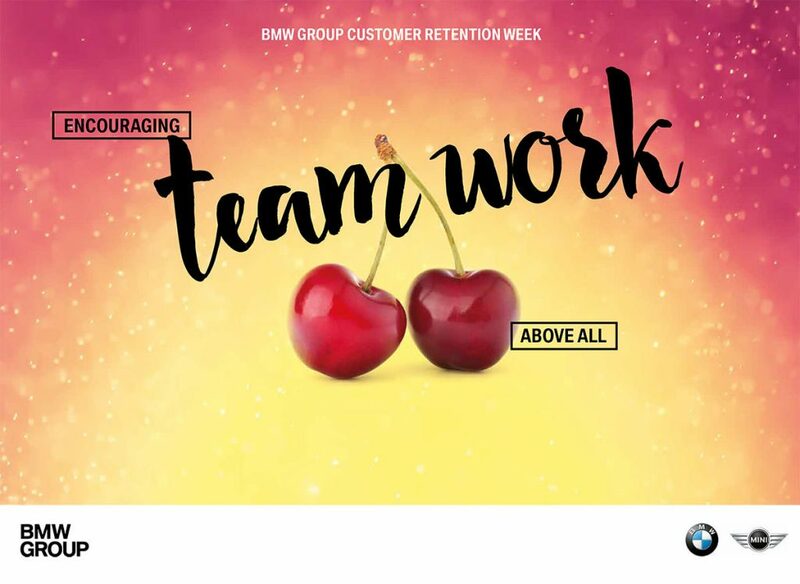 Each day they were invited to log on to a microsite to watch a programme from Head Office talking about the importance of retention. Throughout the week retailers uploaded hundreds of photos, blogs and videos of their activities. Research showed 96% participation and a two percentage point increase in loyalty.